Bayonetta creator and Platinum Games developer Hideki Kamiya wants to make a new Star Fox game very, very badly. Following Shigeru Miyamoto's statement that he'd like to see another Star Fox game, Platinum's Hideki Kamiya has thrown his hat into the ring, saying that he'd not only like to make a new game, but that he'd like to do it at gunpoint. "I want Nintendo's staff to come to Platinum, stick guns at us and tell us 'You guys make a new Star Fox,'" he said via Twitter. 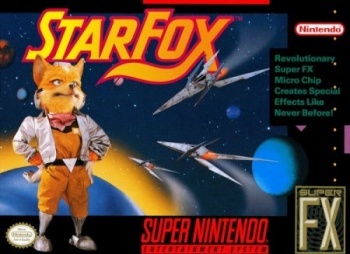 Kamiya had a great deal of praise for the series and claimed to be so satisfied with Star Fox 64 - also know as Lylat Wars - that he mothballed a 3D shooter he planned to make, because there was no longer any need to do it.